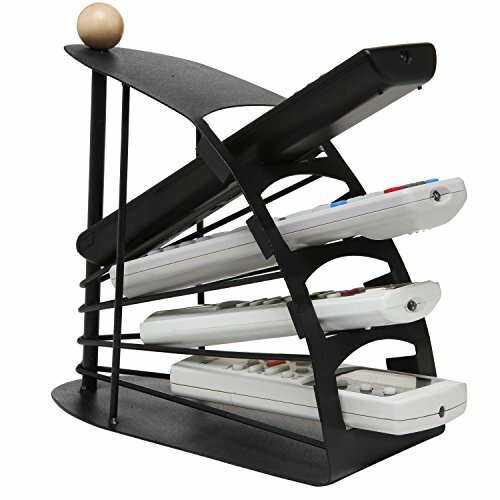 Keep all your remote controls organized and easy to find with this convenient storage rack. Thanks to the 4 slots arranged in a convenient fan design, this organizer rack allows you to keep up to 4 remote controls perfectly in place and within easy reach. Forget tedious minutes spent hunting down the remote that you need - with this metal remote control caddy, all of your remotes can be kept safely stowed and easy to find. Approximate Dimensions: 8.5" W X 8.25" H X 4.25" D.